Dish Network argues that there's sufficient reason to pursue a lawsuit against the people behind the TVAddons website and ZemTV Kodi addon. The defendants previously asked the Texas court to drop the case because they are foreign nationals with no connection to the state. Dish, however, counters this and argues that the US was the focal point of their business. In a complaint filed in a federal court in Texas, add-on ZemTV and the TVAddons library were accused of copyright infringement. As a result, both are facing up to $150,000 in damages for each offense. According to the legal team of the two defendants, this limited connection to Texas is reason for the case to be dismissed. They filed a motion to dismiss in January, asking the court to drop the case. “Lackman and Durrani have never been residents or citizens of Texas; they have never owned property in Texas; they have never voted in Texas; they have never personally visited Texas; they have never directed any business activity of any kind to anyone in Texas […] and they have never earned income in Texas,” the motion reads. Dish, however, sees things differently. Yesterday the broadcast provider replied to the motion, submitting hundreds of pages of evidence documenting TVAddons and ZemTV’s ties to the United States. According to Dish, both defendants utilized US companies such as Twitter, Facebook, Google, and Cloudflare to facilitate their infringing activities. In addition. US residents were directly addressed in various messages on the TVAddons site and social media. “Defendants used TV Addons to target residents of the United States and it was designed to appeal to United States television consumers. The TV Addons Home page stated ‘Whether you’re in the United States, United Kingdom, Canada, Germany, India or anywhere else, Kodi Addons will work great for you!’,” Dish writes. Furthermore, TVAddons own data showed that most of its users came from the United States, more than one-third of the total user base. Dish points out that the Court has personal jurisdiction under the “Calder effects test,” because defendants knew that the focal point of the harm from their action was in the US, and because their actions connect the defendants to the US in a meaningful way. 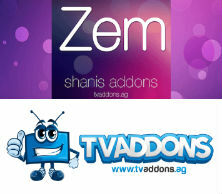 The focal point of the harm from TVAddons and ZemTV was in the United States, Dish states, adding that both defendants were well aware of their infringing activities. “Defendants’ boasting on TV Addons that their services allow users ‘to cut down your cable or satellite television bill substantially, if not entirely’ shows that Defendants were well aware that TV Addons and ZemTV were harming DISH and other legitimate, subscription television service providers in the United States,” Dish writes. Without getting too deep into the legal jargon, Dish relies on an alternative basis for jurisdiction as the defendants did in their motion to dismiss, which means that they don’t have to address specific connections to the state of Texas. The broadcast provider hopes that the Court agrees, and wants the case to proceed. A copy of Dish Network’s reply is available here (pdf).